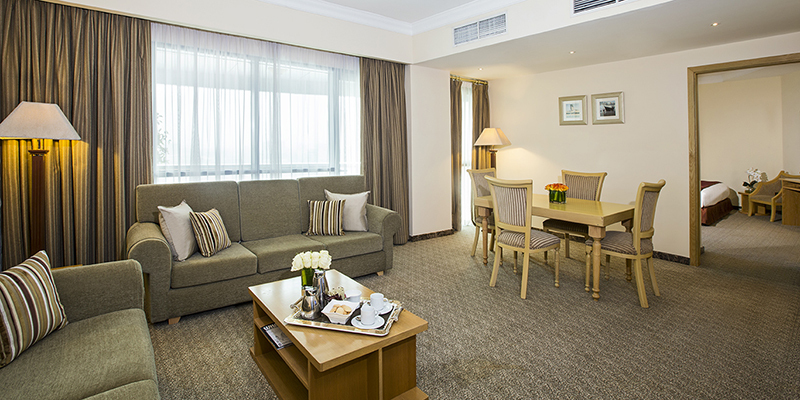 Conveniently located close to Dubai International Airport, City Seasons Dubai offers quick access to Dubai Convention and Exhibition Centre, Dubai’s world famous shopping malls, golf courses, tourist attractions and pristine beaches. The elegant interiors, the spacious rooms and suites combined with an attentive and friendly service make this hotel a favourite with business travelers, family stays and holiday makers. 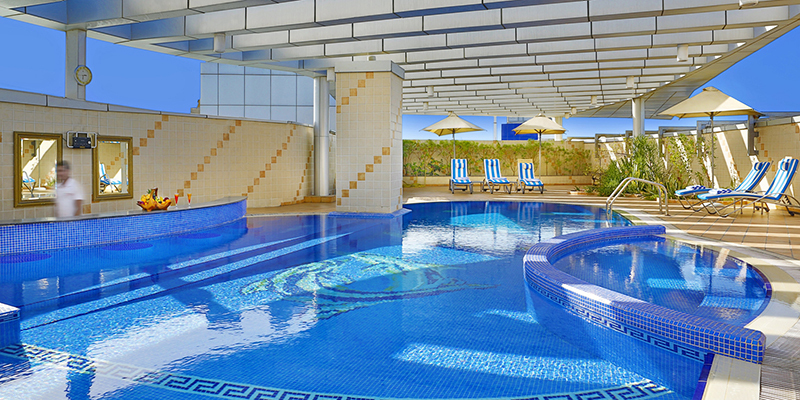 City Seasons Dubai is an ideal destination for business, family and leisure travel. This room measures 38sqm and is fitted with either a king size bed 200x200 or 2 twin beds 100x200 each. It is elegantly designed in light tones and rich wood and is perfectly equipped to suit the needs of corporate guests, families or leisure groups. 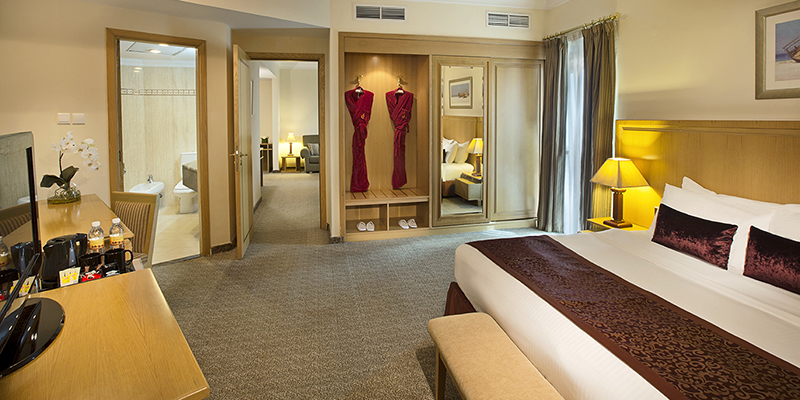 The room offers complete privacy for a comfortable stay. This room is 40sqm and is fitted with a king size bed 200x200 or 2 twin beds 100x200. Its elegant decor is made of rich furnishings in subtle colouring. The room offers complete privacy for a comfortable stay and has a small balcony. With its large proportions of 61sqm, Seasons Suite is the perfect choice for a comfortable and relaxed stay; it is fitted with a king size bed 200x200 and is elegantly designed in light colours and perfectly equipped to suit the needs of the family. The room offers complete privacy and features a seating area fitted with comfortable sofas as well a dining table for four guests as well as a large private terrace. It boasts satellite TV with two flat screens. 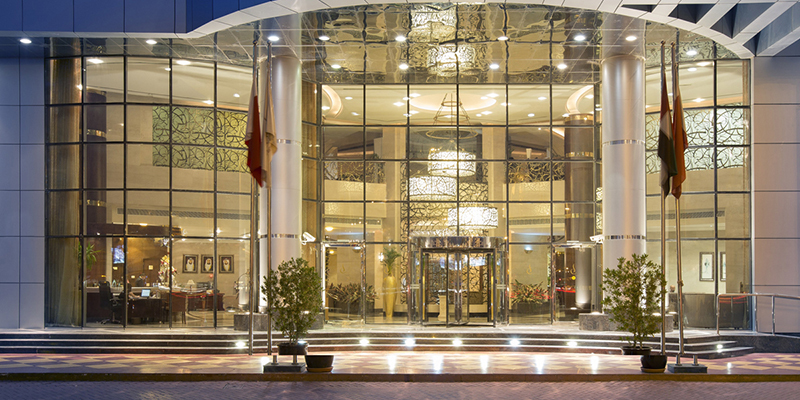 Whether you are organising a small company meeting or a larger reception, City Seasons Dubai offers a range of conference and banquet facilities that adequately cater for up to 200 guests. Luxuriously appointed and inter-connecting, the meeting rooms offer state-of-the-art equipment and flexible arrangement which make them equally suitable for small or large groups. Menus can be customized to fit all occasions and budgets. All-Day dining restaurant, it serves a choice of international dishes from Asian to Arabic, buffet style, with separate sections for appetizers and salads, main courses and grills, as well as desserts. This outlet also features a shaded outdoor terrace where you can enjoy al fresco dining, weather permitting. Theme Nights take place regularly. 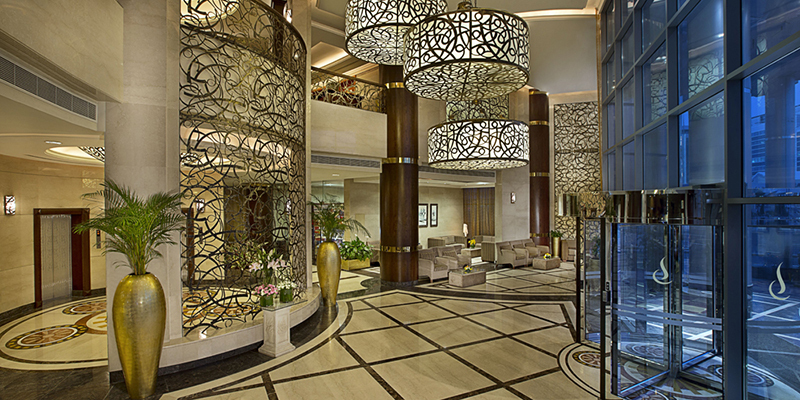 Located at lobby, serving snacks and variety of beverages all day.